On Jan. 15, 2019, Netflix announced that they are raising their monthly prices to $12.99 from $10.99. Premium users will see the same $2.00 rise, bringing the total to $15. The last time that the company raised their prices for the users was in October 2017. “I think them raising the prices is not that bad. It is only a few extra dollars each month to save our favorite shows,” Ayden Aguirre said. The site currently has over 137 million subscribers, and 58 million of them are in the U.S. Their income exceeded $11 billion in 2018. 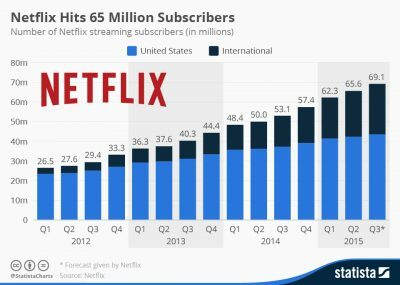 Netflix has a variety of ages using their platform, meaning they have TV shows and movies for children, teens, and adults. They have shows that premiere on regular cable television like The Walking Dead, The Office, Friends, and more. The media giant has also launched Netflix Originals, which hosts content created specifically for Netflix by producers under contract with the company. “My favorite show is Friends,” Ashley Adam said. The company will begin charging these prices effective immediately for all users.